With a 170 degree field of view, record videos in outstanding 1080p and 720p, and record audio with a built-in high quality microphone. Capture 14PM still, burst-shot, and time lapse images. The iON Air Pro Camera is extremely durable and waterproof WITHOUT a case up to 10 meters/30 feet. Compatible with all iON Accessories and Mounts. Wi-Fi PODZ included to enable Shoot/Share functionality allowing real time upload to social media platforms. 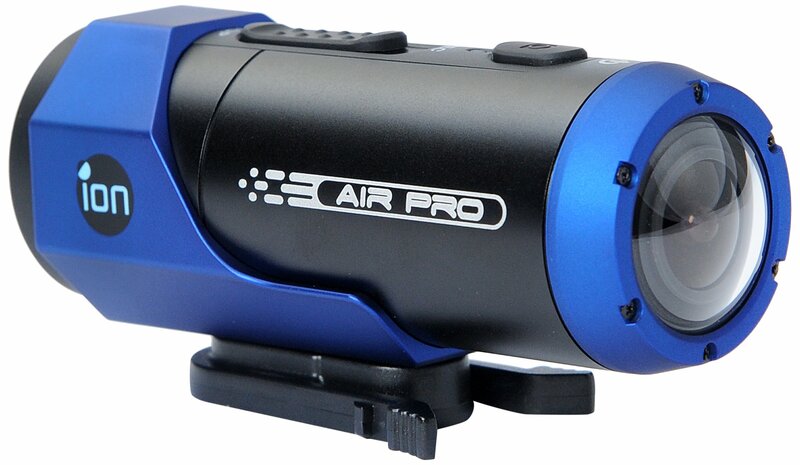 The Air Pro Lite Wi-Fi is a professional sports action camera suitable for just about anything. Waterproof up to 10 meters/30 feet without any outer case required, it records videos in HD at up to 170-degrees wide angle. The Air Pro Wi-Fi Lite comes with a USB cable, a Cam LOCK , a basic helmet mount and pouch.